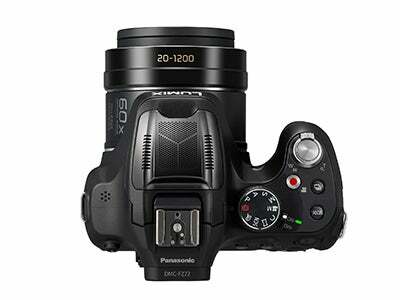 Panasonic has broken new ground by announcing the industry’s highest 60x optical zoom bridge compact camera. The DMC-FZ72 is the latest addition in the company’s FZ series and is aimed at appealing to those who’d like an all-in-one zoom camera that’s capable of delivering a staggering focal length that’s equivalent to 20-1200mm. Extended to the long end, the FZ72’s 60x optical zoom protrudes a long way from the body. Successor to the Lumix FZ62 that was launched last year, the FZ72’s LUMIX DC VARIO 20mm ultra wide-angle lens comprises 14 elements in 12 groups, including 6 aspherical lenses with 9 aspherical surfaces and 3 extra-low dispersion lenses. Specially tailored for those who’d like to squeeze more into the frame and shoot with a wider field of view, it’s suitable for a wide-range of subjects from dramatic landscapes to sports and wildlife photography where the whopping 60x optical zoom comes into its own. Adding to this, the zoom ratio can be expanded up to a 120x equivalent using the digital zoom, and if it’s paired with the 1.7x tele conversion lens that Panasonic sell separately, it’ll transform the 60x optical zoom to an impressive 102x optical zoom. To keep handheld images sharp at the extreme end of the zoom, the FZ72’s lens also adopts the same optical image stabilizer (O.I.S) with active mode as found on the flagship model in the FZ-series – the FZ200. The FZ72’s top plate has a similar design to the LUMIX FZ62, but the buttons now appear to be raised slightly rather than being flush with the top surface. Behind the lens optics lies a new 16.1MP High Sensitivity MOS sensor that’s been designed to work in tandem with Panasonic’s LSI Venus engine processor. This partnership of technologies allows the camera to shoot full resolution images at an impressive 9fps burst rate (5fps with continuous AF) and provides an ISO range of 100-3200 that can be expanded to an equivalent of ISO 6400 in the cameras high sensitivity mode. As well as shooting in the JPEG format for stills, the FZ72 also supports the more versatile Raw format. The FZ72 looses the squat design of the FZ62 and features larger buttons and a more conventional d-pad. 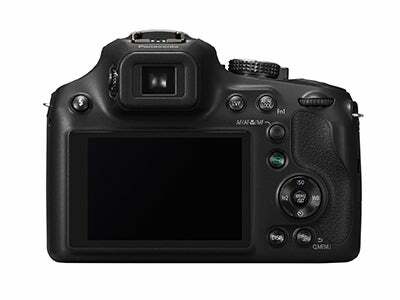 To ensure the camera caters for advanced photographers as well as novices, full manual control (P,A,S,M) is available from the mode dial on the top plate, while the movie-rec button beside provides direct access to full HD video (1920×1080), which is recorded at a variety of frame rates including 30p and 50i in the AVCHD or MPEG-4 formats. With a hot shoe to enhance the cameras compatibility with additional accessories, the FZ72 also features a newly developed windshield zoom microphone that’s claimed to minimize wind noise by approximately 70% compared to its predecessor. With a substantial increase in volume by 50%, the built-in microphone supposedly boasts a better signal to noise ratio to help suppress noise in quiet circumstances to catch the target sound. 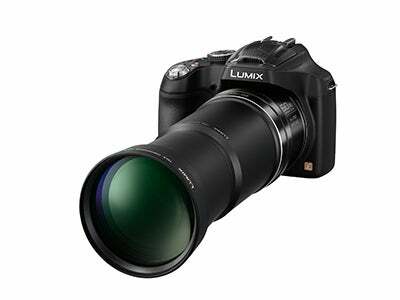 Priced at £369, the Panasonic Lumix FZ72 is expected to be available at the end of August.